I know what the WWE Universe is thinking. AEW is just a t-shirt company. They will end up just like Impact Wrestling. They have done nothing at all. These are constant sound bites wrestling fans have been hearing through the grapevine. But here's the clincher, in order for WWE to be better, AEW must succeed. During the time of the Monday Night Wars, WCW was reigning supreme. They were doing realistic storylines that were cutting edge for the time. They even turned Hulk Hogan heel and casting him as the leader of NWO. In essence, they were doing things against the grain. Vince McMahon knew he had to do something as his company was losing the rating war night after night. While the attitude era has its critics, it's also fondly remembered by most of the WWE Universe. Thanks to solid characters such as The Rock and Stone Cold Steve Austin as well as very talented WWE roster, WWE ended putting WCW out of business in 2001. Fast forward 18 years later and you have the formation of All Elite Wrestling (AEW). 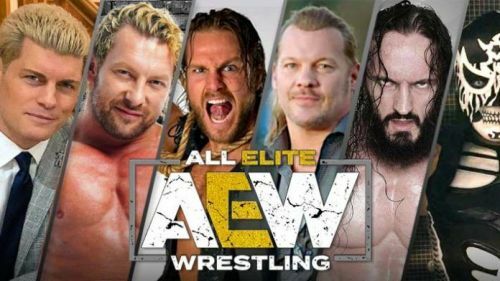 The AEW roster includes the likes of Chris Jericho, Cody Rhodes, Kenny Omega, The Young Bucks, Pentagon, Hangman Page, PAC and many others to follow. They're backed by Tony Khan and Shad Khan. Unlike Impact Wrestling or ROH, they have the money power to pump into the promotion. While WWE has made some good moves in the last few months, there's still something missing in the product. The same excitement that has been there in years prior has staled over time. While WWE has the most talented roster it has had in decades, it still feels like they have more wrestlers then they can handle. It's not an oversimplification to suggest that a bloated WWE Roster has led to poor storylines that don't capture the attention of the WWE Universe. While the in-ring action has always been excellent, professional wrestling needs that missing ingredient of compelling storylines and it's rarely on display in either WWE RAW or WWE SmackDown. Return of Monday Night Wars? Will there be another Monday Night War? While some fans would love to see that, the answer is no. The television landscape has completely changed since the days of WCW. There is more content across the television landscape than there ever has been. WWE is not only competing with other wrestling organizations but also with other TV shows like The Walking Dead or The Black List. The arrival of streaming platforms has led to WWE creating the WWE Network. In all fairness, WWE is too big to fail. 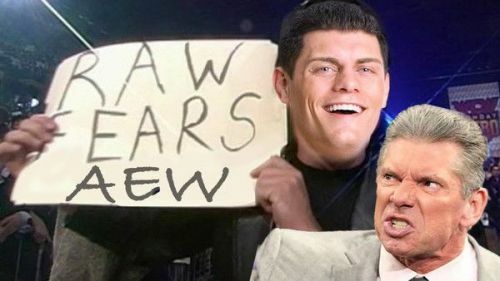 What AEW can be is a reliable alternative to WWE. 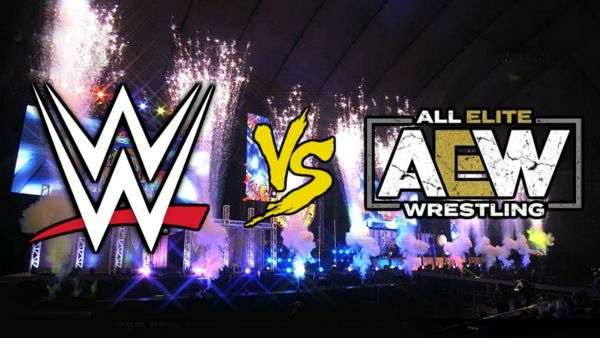 While the first major event will be the AEW Double or Nothing, there are rumors that a 'big TV deal' will be announced for a weekly television show. While AEW is now essentially committed to doing PPVs, it will be a test to see how they measure up as a weekly TV show. Whilst some in WWE may not want competition, the truth is having a rival organization of equal repute can make both sides better.